Sharrod Everett is in his first season as FSU’s assistant athletic director for football and his ninth season working with head coach Willie Taggart in 2018. Everett, one of three staff members to be with Coach Taggart in every season of his head-coaching career, is responsible for all aspects of the football program. Everett has held the same position on Taggart’s staff at Oregon, South Florida and Western Kentucky before joining the Seminoles. 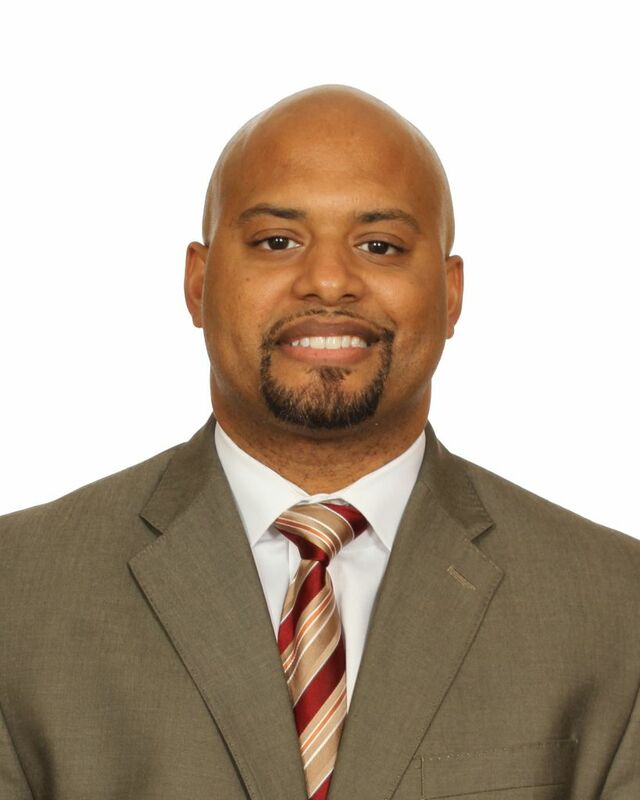 Before joining Taggart at Western Kentucky, Everett was the associate director of operations at Northwestern where he coordinated the recruiting operations while assisting with internal and external operations. In 2007, Everett was the director of football operations at Tennessee State. Prior to that, he spent one season as a championships assistant in the Big Ten Conference office, helping with the overall administration and management of 23 conference championships and tournaments. Everett began his career at Xavier, where he was the assistant coordinator of operations for Olympic sports. Everett played football and was on the track and field team at Campbellsville University. On the gridiron, he was a two-year starter at defensive back and a team captain. He earned his bachelor’s degree in exercise science/sports medicine from Campbellsville in 2004 and completed his master’s degree in sports management from Xavier in 2006. Everett is married to the former Kimberly Campbell. The couple has three children, Kingston, Lennox and Legaci.